The season officially launched January 28, with an ambitious international film series supported by RBC Foundation. Called Cinematic Discoveries Along the Silk Road and the Spice Route, the series features bold voices and brave new visions from accomplished filmmakers and emerging media artists working in the Middle East, East and South Asia, and Africa – areas connected through the fabled Silk Road and Spice Route. “Many of these films are premieres. Some are world premieres, others Canadian or Toronto premieres. The film series will be a voyage of discovery for audiences,” says Dr. Paul Lee, a Toronto-based filmmaker, producer, and festival programmer who guest-curated the series. Twenty-four films will be screened over five Wednesday evenings (January 28, February 4 and 25, March 18, and April 8) in the Aga Khan Museum Auditorium, a 350-seat domed space equipped with a state-of-the art cinema projector, screen, and surround sound system. Several of the filmmakers will be in attendance to introduce selected films. Building on the theme of the exhibition The Lost Dhow: A Discovery from the Maritime Silk Route, pipa virtuoso Wu Man of Silk Road Ensemble fame and celebrated singer Sanubar Tursun take the stage in mid- February for a pair of spectacular performances (February 13 and 14, 8pm). Presented in partnership with the Aga Khan Music Initiative, the program explores connections between the music of China and Central Asia. The February 13 performance is sponsored by RBC Royal Bank. February 26, 7pm: Toronto-based pipa master Wen Zhao improvises with local musicians in a Hive Jam Session. March 6 and 7, 8pm: Radik Tyulyush (Siberia) and Polaris prizewinner Tanya Tagaq (Canada) share a program showcasing the power of two culturally distinct throat-singing traditions. Presented in partnership with Small World Music. February 20 and 21, 8 pm: Anita Majumdar performs her one-woman theatrical tour de force Fish Eyes. Presented in partnership with Nightswimming Theatre. March 12, 8 pm: In partnership with the Ashkenaz Foundation, the Diwan Saz Interfaith Ensemble performs traditional music from Central Asia, Turkey, and Persia. March 13, 8pm: Singer/songwriter and guitarist Emel Mathlouthi (Tunisia) – whose voice evokes Joan Baez, Sister Marie Keyrouz, and the Lebanese diva Fayrouz – captivates with her distinctly lyrical style. April 24, 8pm: One of Mauritania’s most beloved and adventurous young artists, Noura Mint Seymali delivers pop and funk inflected by sounds of the Sahara, the Magreb, and West Africa. March 27 and 28, 8pm: The Grammy-nominated Ghazal Ensemble (Kayhan Kalhor, Shujaat Husain Khan, and Sandeep Das) delivers unique Indo-Persian fusion in a rare reunion. April 18 and 19, 7pm and 11am: In a program co-presented with the Raag-Mala Music Society of Toronto called Miyan-Ki-Daane – Raags of Tansen, some of India’s finest musicians – including Uday Bhawalkar (vocals), Rupak Kulkarni (flute), Partha Bose (sitar), and Samrat Pandit (vocals) – perform raags by the famed 16th-century singer/composer Miyan Tansen, a court musician of the Mughal Emperor Akbar. 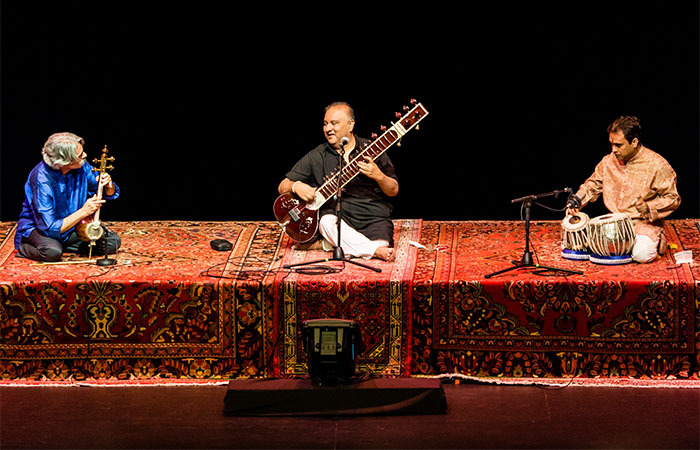 May 8, 8pm: Homayun Sakhi (Afghan rubab), Rahul Sharma (santur), and Salar Nader (tabla) transport audiences to the palaces and great rooms of Mughal India and Afghanistan. 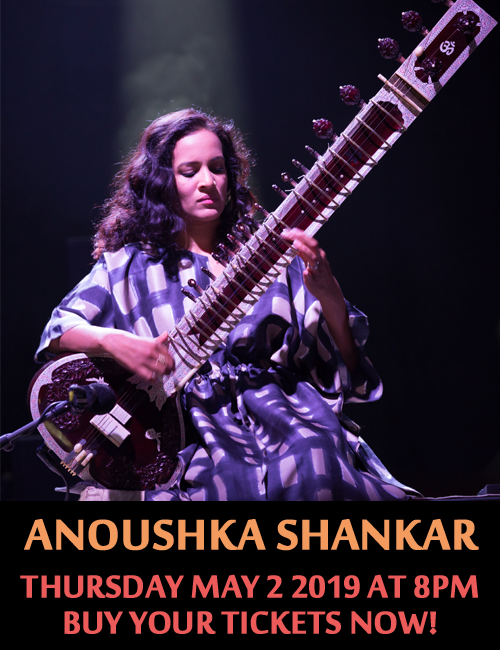 Presented in partnership with the Aga Khan Music Initiative and supported by Small World Music. The Aga Khan Museum gratefully acknowledges the support of our Inaugural Season by the Ontario Cultural Attractions Fund (OCAF). The Aga Khan Museum has been established and developed by the Aga Khan Trust for Culture (AKTC), which is an agency of the Aga Khan Development Network (AKDN). The Aga Khan Trust for Culture (AKTC) focuses on the physical, social, cultural and economic revitalization of communities in the developing world, but some of its programs, including the Museum, span both the developed and developing worlds. AKTC is composed of several individual programs and units: the Aga Khan Historic Cities Programme (http://www.akdn.org/hcp/), which promotes the conservation and re-use of buildings and public spaces in ways that spur socio-economic development; the Aga Khan Award for Architecture (http://www.akdn.org/architecture/), which awards a prize for architecture every three years; the Aga Khan Music Initiative (http://www.akdn.org/aktc_music_about.asp), which supports talented musicians and music educators who strive to preserve, transmit, and further develop their musical heritage in contemporary forms; the online architectural resource ArchNet.org(www.archnet.org) and the Aga Khan Program for Islamic Architecture at Harvard University and the Massachusetts Institute of Technology (http://web.mit.edu/akpia/www/). The Aga Khan Development Network (AKDN), a private, international, non-denominational development organization, is active in 30 countries and employs over 80,000 people globally. Its ten agencies address complex development issues, including the provision of quality healthcare and education services, cultural and economic revitalization, micro-enterprise, entrepreneurship and economic development, the advancement of civil society and the protection of the environment.